(Newser) – Just try sugar-coating this: The World Health Organization says your daily sugar intake should be just 5% of your total calories—half of what the agency previously recommended, according to new draft guidelines published yesterday. That includes sugars added to foods and those present in honey, syrups, and fruit juices, but not those occurring naturally in fruits. After a review of about 9,000 studies, WHO's expert panel says dropping sugar intake to that level will combat obesity and cavities. 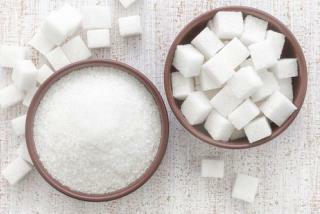 Remember to ferment your sugar before you drink it. Quite honestly food culture is one of the strongest most personal cultures one has. The government needs to get out the business of castigating entire segments of our society based on their food choices. Why? Because really, it's none of their business. Regulate the dangerous, keep the food industry safe, but stay out of what I choose to eat.